Are you looking for someone that you can have a meaningful connection with? Is that the reason why you’re at this OneAmour review? Get to know what OneArmour is all about by reading the information provided for you below. Online dating has been a part of almost everyone’s lives because these sites made it easier for everyone to find a date without even leaving their office desks or their homes. All they have to do is to access the sites on their computers or their Smartphones. 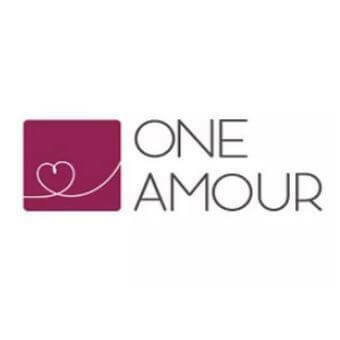 One of the many dating sites today is OneAmour which helps connect people from anywhere in the world. With the number of people looking for their dream woman or man, it’s no wonder why OneAmour is one of the many popular dating sites today. OneAmour is an online dating site that connects people from all over the world using the latest in technology. The site makes sure that they are matching each and every member that they have with the right one using the right tools. They always make sure that their members will reduce the time that they will spend connecting and searching for people just to find their match. They are proud to say that they are matching thousands of couples from all over the world every single day. OneAmour is also very popular in Russia and in countries where Spanish is a language, including Peru, Columbia, Spain, Argentina, and more. Of course, the site is also popular in countries where English is the language. When it comes to the design of OneAmour, you will like it because of the simple layout that it has. The color scheme is also lovely, which can be warm in the eyes and inviting. The site is also straightforward to navigate even if you are someone who is not into technology that much. Everything that you need to access will be on the homepage of the site, and the buttons can easily be accessed if needed. When it comes to signing up on OneAmour, it is pretty straightforward. It will only take you a couple of minutes to sign up and enter the site. All you have to do is to enter some of your necessary information, including your name, age, your gender and the gender that you’re looking for. It is advisable that you complete the sign-up process including the verification so you can successfully enter the site. Creating your profile means adding more information about yourself that you want others to know about you. You can share your hobbies and interests and the dream person that you have in your mind. Of course, uploading a recent photo of yourself is also advisable as typically, this is the first thing that people look into when finding a match. You surely want the search results to be full of photos once you start looking for that member that will catch your attention. When it comes to the quality of profiles on OneAmour, you will be surprised at how detailed they are. Almost every basic things that you need to know are there, and you can also use one of the information to start a conversation with that person that you are eyeing. You will also be able to see more photos if the member added more than their profile photo. Also, you will be able to check the person that they are dreaming off and if you think that you match that person, then sending them a message would be your next step. Now, when it comes to communicating with members, you can send and receive unlimited messages. There are also options where you can like or send interest to a person that you like. Also, if you can’t think of an excellent first message, you can easily choose from the template available or through the old messages that you have sent to other members. You can also use some information on their profile so you can start a conversation that will interest the person that you’re eyeing. This is ideal especially if the person’s profile is detailed with all of the information that you need to know. OneAmour has an Assistant feature where you can ask for help if needed. The assistant will help you find a member that you can match people. This feature will even help you start communicating with the person so you can get to know each other. OneAmour values their members’ privacy and safety, which is why they verify each profile that is created on their site. If the profile seems doubtful, then they investigate it. Once proven, they immediately delete the profile on their site so everyone will be safe. Also, all the information that you will give the site is all encrypted. Your information is safe with them, so you shouldn’t be worrying about this anymore. The only thing that you need to worry is how you can find that right match for you. With all these being said, if you are looking for someone that you can date may be outside the US or in the US, you will surely find one here on OneAmour. All you have to do is to click that sign-up button, and you will be on your way to meeting that woman of your dreams.